In 1519 Spaniard and explorer Herman Cortes took beloved Moctezuam II, leader of the Aztec empire, hostage in his own palace, slowly embarking on Tenichtitlan, the capital. For two years, the heavily armed Spanish and the pre-modern Mēxihcah would fight for the Empire. Plagued by small pox and other diseases from Europe, along with two years of war, Moctezuam II is killed and Cortes claims victory. The Aztec Empire and the Mēxihcah people dissolved into the history books l- ike the Mayan, Olmec and Tenichtitlan peoples before them – after 200 years of fruitful reign from 1325 – 1520, into what became a Spanish empire in Mesoamerica. For hundreds of years as the area know as Mexico developed into a modern metropolis, years of archaeological and cultural research in the wider Mexico City area in the late 1980s too place. 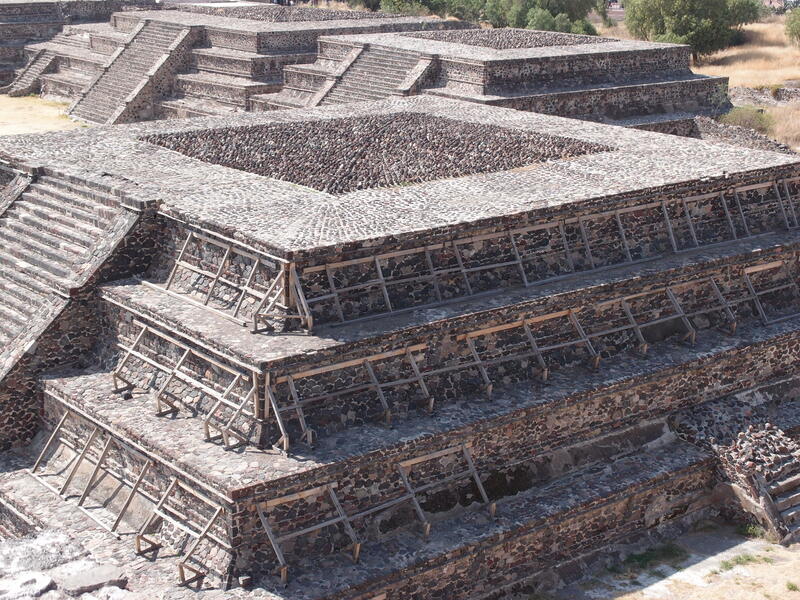 For years researchers found little until they came upon the ruins of the ancient Teotihuacan city, which set into motion, the collection of century old information on the Aztecs and their culture. Everywhere throughout Mexico today monuments, original sites and museums acknowledge the history of the Empire. 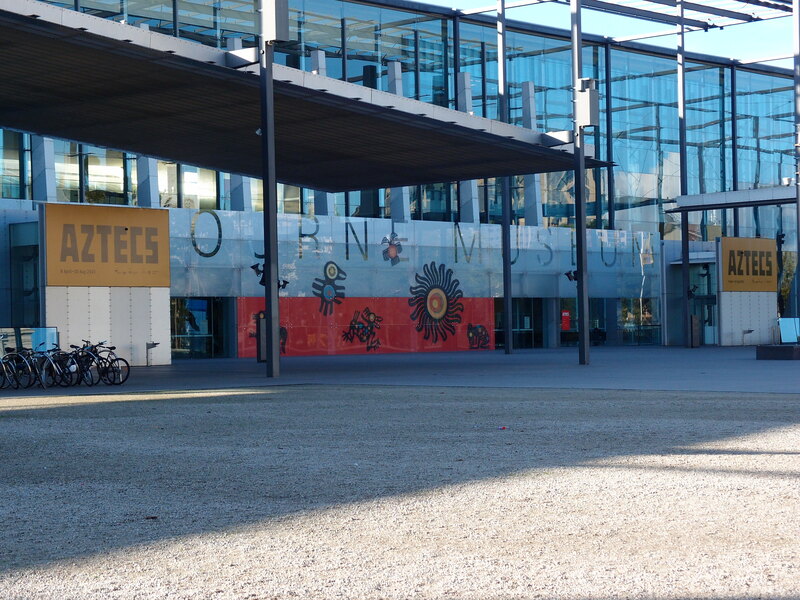 The exhibition at the Melbourne Museum is modest, largely filled with replica models of stone artefacts found at dig sites. There is a primary emphasis on Mēxihcah rituals of human sacrifice and belief in the afterlife. The exhibition focuses around the notion of sacrifice and death and how the two centrally worshiped Gods, Huitziopochtli – God of War and Tezcatlipoca – God of Destiny influence these beliefs. There is a strong focus on trade with many trading items such as cooking implements and weapons on display plus examples of what village marketplaces would have looked and how they would have functioned. Scattered around the exhibition is a range of informative videos that give visitors insight as to how items on display were found and restored as well as interviews with archaeologists and historians who provide information about their ongoing research. The exhibition focuses little on the end of the empire, with merely a small section in the final room which outlines the outbreak of diseases on the people and the rapid infiltration conducted by Cortes and the Spanish. The exhibition is merely a taste of Teotihuacan life and certainly fuels visitors to head home (or to Mexico!) to find out more. ← Barry for food and coffee.